Congratulations to the graduating class of 2016, whether you’re just finishing middle school, transitioning from high school to college, or at the end of your educational career. We’re inspired by the young minds that will be shaping the future. And we also are excited to play a part in many local graduates’ party plans and helping them celebrate their achievements! Catering by Michaels has two delivery menus that perfectly suit graduation parties set in the summer. We have a Summer Menu, featuring fresh ingredients and bright colors. Entrees focus on handhelds, and desserts allow for a little bit of indulgence. Then, there’s the Tailgating Menu that’s reminiscent of barbecue favorites and is sure to please even the pickiest eater at the party. Let’s take a look at some of our customer’s favorites from each graduation party catering menu that may double as inspiration for your graduation party catering menu. 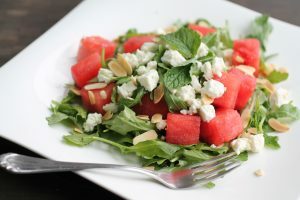 Start things out on a refreshingly healthy note with our watermelon and feta salad. This unexpected flavor pairing is just what a summer graduation party needs. 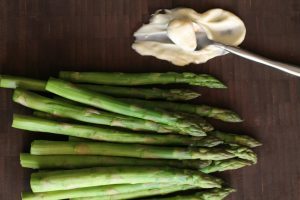 “I don’t like asparagus” said no partygoer ever when eating our asparagus paired with a savory lemon aioli. 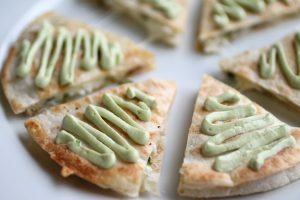 Your graduation party will not be soon forgotten, even during busy graduation party season, when you serve our pulled bbq chicken quesadillas with avocado crema. 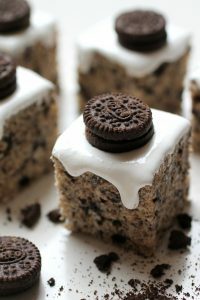 Not everybody like cakes, which is why we get many requests for these Oreo rice krispie treats! Our petite gourmet fruit kebobs are a fun and light way to start a graduation party – and balance out the rest of your graduation party menu! 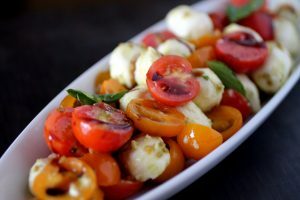 Our fresh mozzarella and cherry tomato salad is all flavor without the calories. Save yours for our hearty tailgating appetizers and entrees! 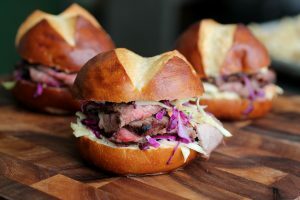 Be just a little different by offering our Asian sirloin mini sandwiches with the rest of your tailgating menu. Your guests will thank you for thinking outside of the box! 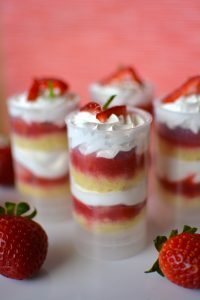 Delight partygoers with our easy to eat strawberry shortcake push pops! They show off a dessert favorite in a fun package. 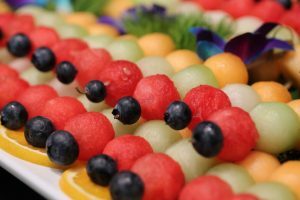 What graduation party catering menu is making your mouth water? Give us your feedback in the comments!